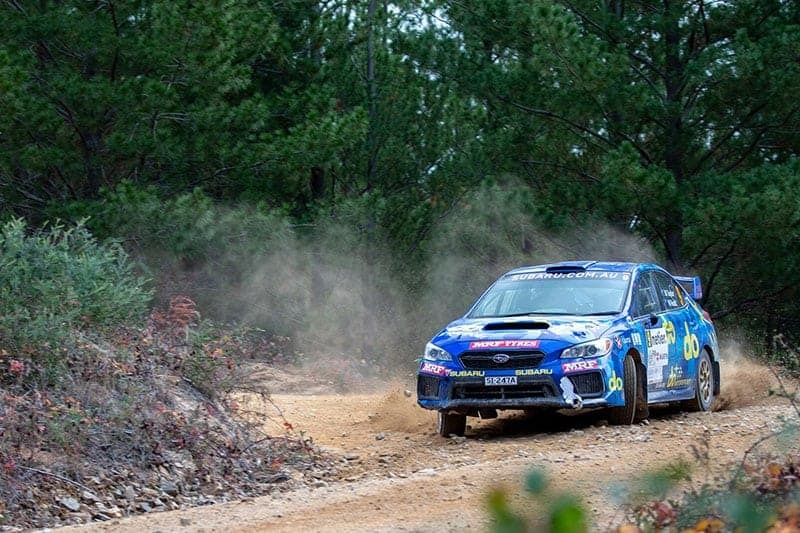 Subaru do Motorsport team will be drawing on some local expertise at Subaru Rally Tasmania this weekend, as the Apple Isle makes a return to the CAMS Australian Rally Championship calendar. Subaru do’s Production Rally Car (PRC) class All-Wheel Drive WRX STI is prepared by Launceston-based Les Walkden Rallying. Driver Molly Taylor and co-driver Malcolm Read are hoping that the team’s wealth of local knowledge will provide some useful pointers for the 17 stages. Team Principal and local rally legend Les Walkden has intricate knowledge of the tracks and trails outside Launceston, so the crew have been busy interrogating him on the nuances of Tasmanian rallying. 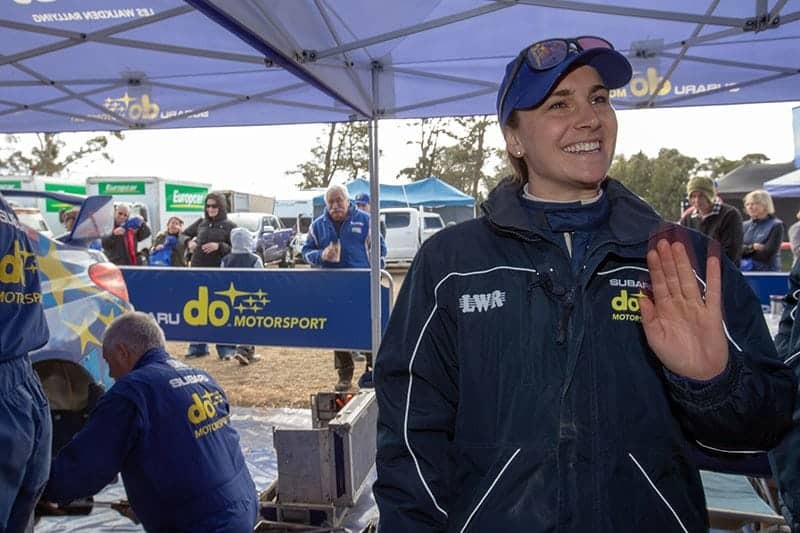 Molly also has the advantage of winning the state round in Tasmania in each of the last two years, though those events focused on stages in different locations to this weekend’s event. Molly said: “From Les to the tech crew, Malcolm and I have been pummelling them for local insights, which could prove invaluable over the weekend. Subaru Rally Tasmania is supported by local Launceston Subaru dealer, Neil Buckby Motors, where Dealer Principal Crichton Lewis is a long-term participant in – and supporter of – the sport. Subaru’s highest market share is in Tasmania, with the benefits of All-Wheel Drive coming to the fore on the many dirt and gravel roads. Between rallies, the team conducted a test session in Tasmania earlier this month. Molly also attended the Motor Sports Club of Tasmania’s 60thAnniversary – at which Les Walkden was recognized with life membership. She was also a spectator at the recent Finke Desert Rally. Molly and Malcolm attended last month’s Stadium Finance Rally of South Canterbury, in New Zealand, too. This weekend’s event, the fourth round of the CAMS ARC, covers 17 stages across 242.46 competitive kilometres. Heat 1 starts on Friday with a quick burn around Inveresk Super Special Stage, which is just 0.86 of a kilometre long. The balance of the Heat 1 stages on Saturday include two runs through the 20.86 km Lisle 1 and 2 and the entire heat covers 130.18 km. Sunday’s Heat 2 covers six more stages including the longest of the rally, the 24.99 km Lonestar Ridge 1 and 2. Total heat distance is 112.26 km, with action due to conclude late on Sunday afternoon. Subaru do Motorsport merchandise will be on sale on Friday at the Inveresk Super Special Stage and also on Saturday and Sunday at the Inveresk Service Park. Among the new items is a polar fleece and beanie.